Q and I took to the countryside in the thirty degree heat to do just that. 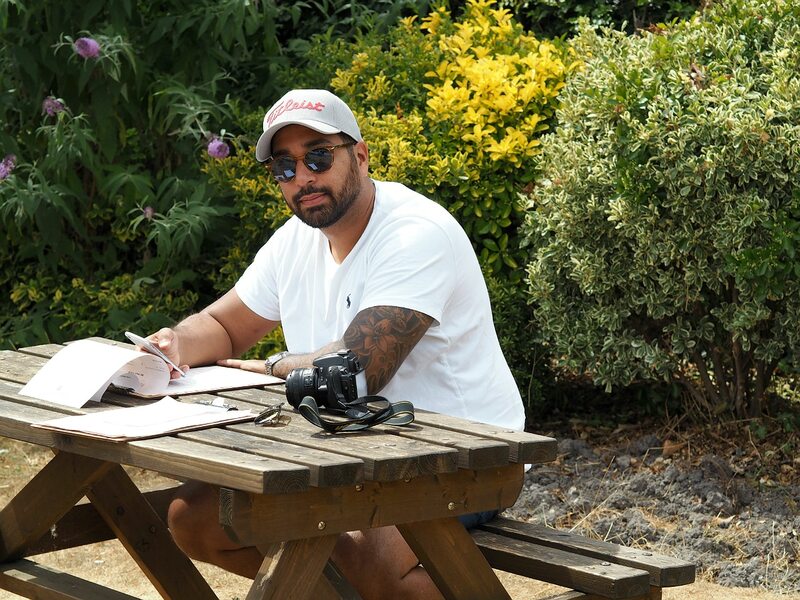 Spending all week cooped up in offices, looking longingly out at the sunshine makes it all the more enjoyable once you’re released on the weekend, huh? And that sense of sunshine carpe diem was captured in our car for the weekend. Ooh that convertible life never felt so appealing! Rolling the top down on this two seater beauty and taking to the country roads felt like absolute Summer perfection. I think it suits me! 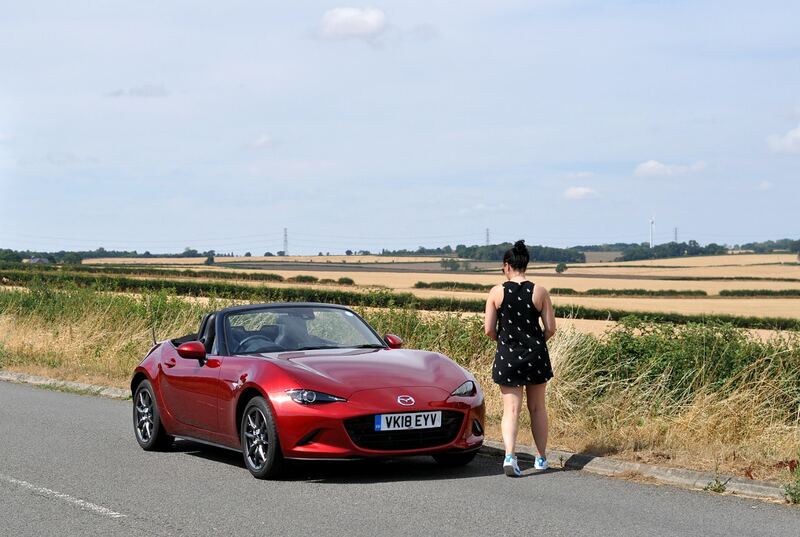 The new Mazda MX-5 personifies good things coming in small packages. Compact and moderately powered, all the fun comes in the level of theatre and incredible handling that it has – you don’t have to drive like a speed demon to have an amazing time in this! Ideal for country outings. The winding roads led us to a beautiful village called Ashwell in Hertfordshire. It was awfully sleepy, save for some ramblers and we strolled along the pretty lanes enjoying the quaint cottages and lovingly tended gardens. 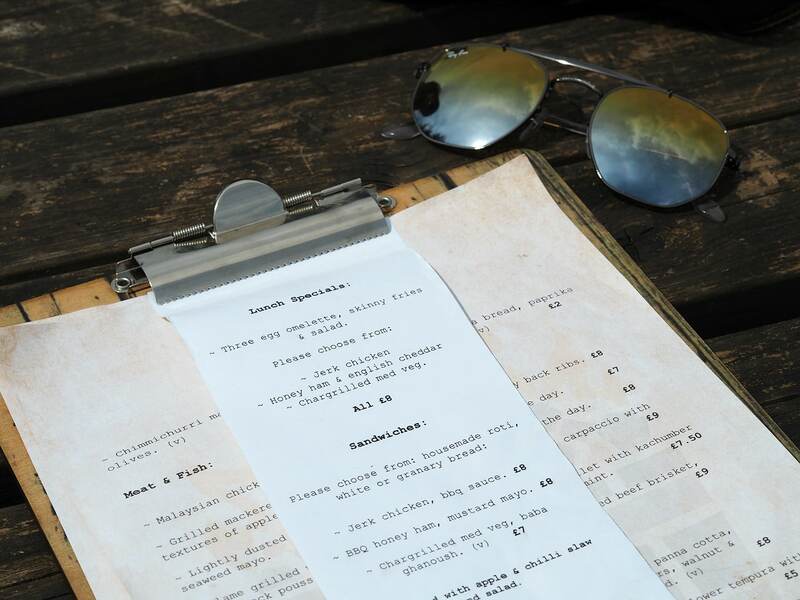 We chose to have lunch at the wonderfully named Bushel & Strike and sat in their sunny beer garden. Bushel & Strike base a lot of their menu around cooking on coals. There’s a lot of overseas influence as well and overall it’s an exciting, casual menu. I was very interested in the fact that they serve a Scotch egg of the day (of the day!) and on our visit it was lamb. 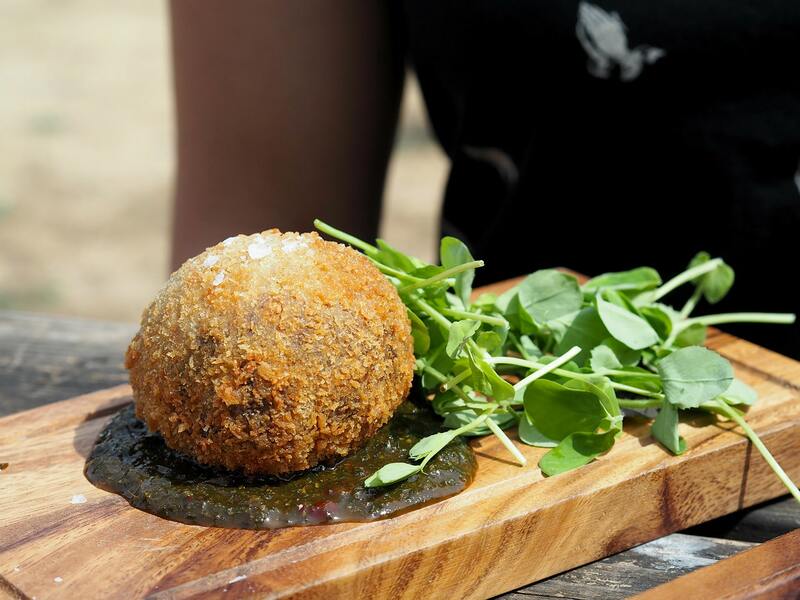 My first lamb Scotch egg and hopefully not my last because it was delicious, especially served with rustic mint sauce. 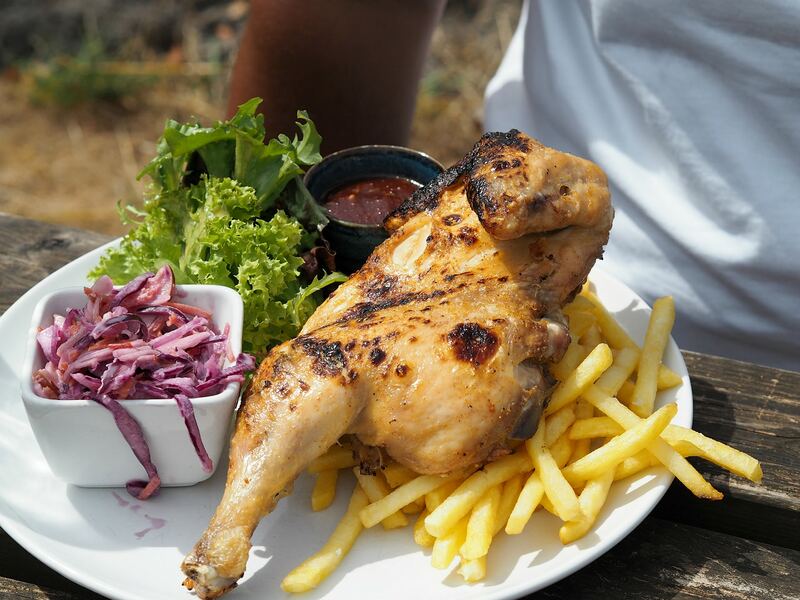 Q chose a classic chicken and chips, served with a gorgeous bbq sauce full of fennel among other spices. A giant, juicy portion! Fuelled, we were off again and I wanted to visit Hitchin Lavender. 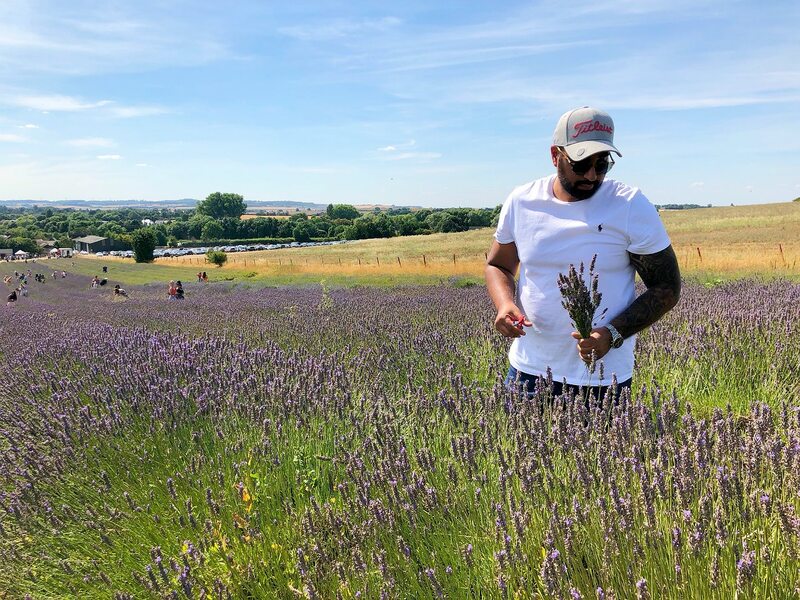 I know lavender fields have become ever so popular in the last couple of years and dare I say it cliche. But despite that it seems like a lovely, relaxing activity that I was really keen to experience myself, regardless of trends. With only one month of the season remaining it seemed like now or never! 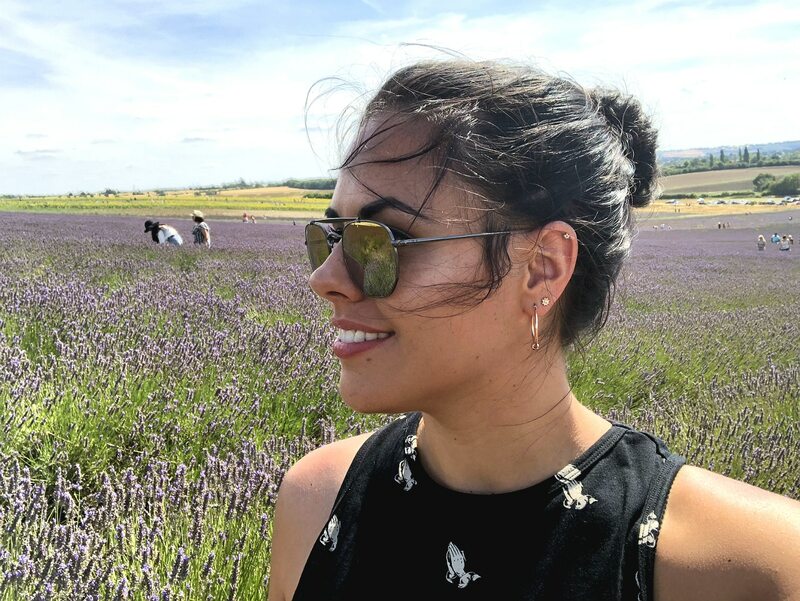 That convertible life meant that we got to fully enjoy the growing scent of lavender on the on the wind as we approached. By the time we had arrived the air was thick with incredible fragrance! Hitchin Lavender charge just £6 for entry which includes a bag and scissors for cutting lavender and flowers to take home. It feels like a very wholesome activity. Very fitting to our day in the country. There’s a melodic hum of honey bees as you walk the field. Cliche or not I really enjoyed our visit. 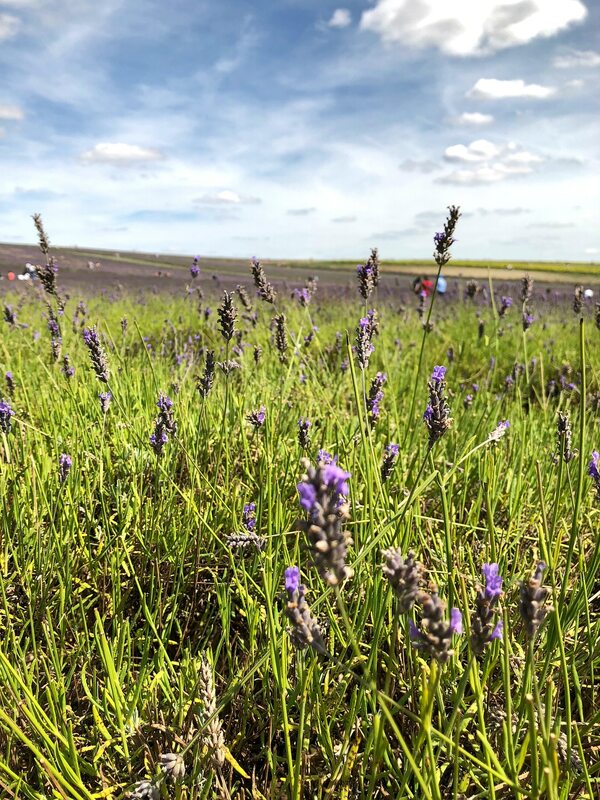 We filled our little boot with lavender cuttings and headed in the direction of home. Not before stopping off a couple of times for a cold drink. Driving in the sunshine is thirsty work! I feel so lucky to be surrounded by beautiful country villages and pubs, there’s a seemingly never ending supply of them. What’s that I was saying about not needing layers in this heat? Well exposed skin with the roof down means don’t forget the sun cream! It just not something you usually think of when getting into a car; easy to be caught out! Mega impressed at how comfortable the noise levels are. You aren’t blasted with air and can hold down a normal conversation no problem. 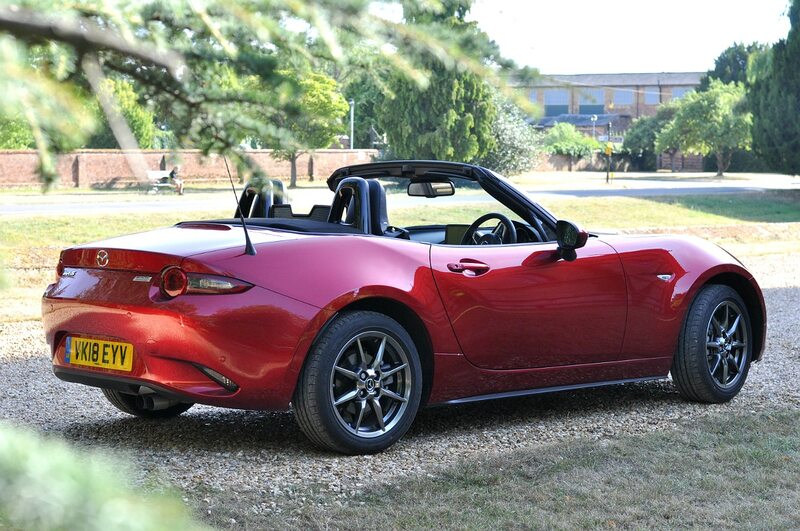 The MX-5 has Bose speakers in the headrests so music is fully enjoyed with the roof down. There is still a breeze mind. If you have long hair be sure to tie it up! Sitting in the passenger seat, looking up at the clouds and tree tops with absolutely no obstruction is wonderful. It’s an incredible sense of freedom. One thing I hate about so many modern cars is how removed you feel. 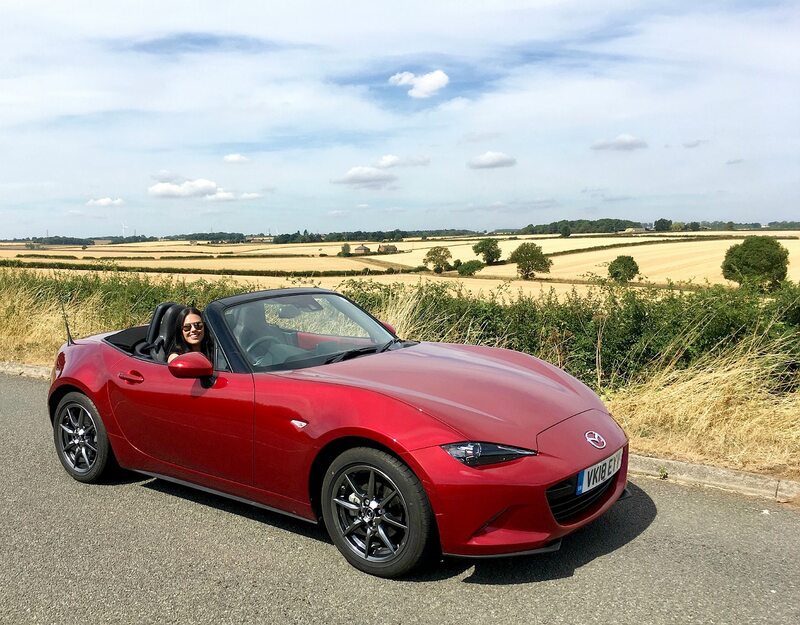 The clutches are weak, the steering is feather light… but I felt really connected to the MX-5. It’s comfortable and unthreatening whilst also knowing how to show you a good time. 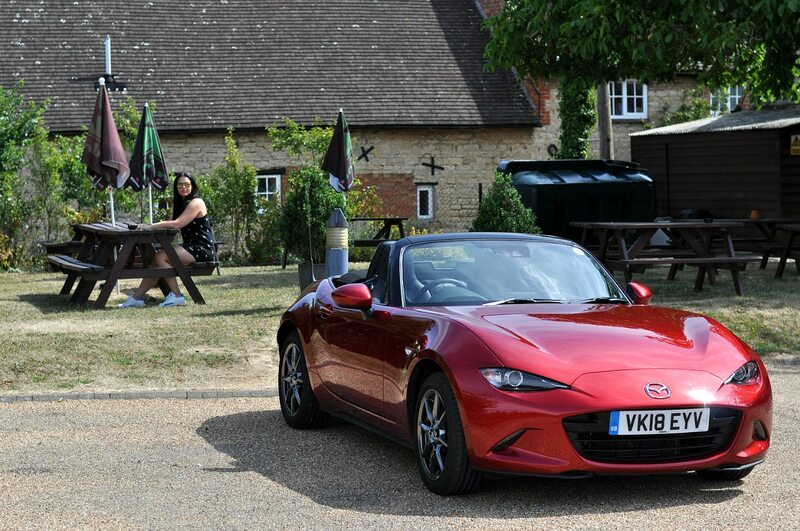 Disclosure: Mazda kindly provided me with their new MX-5 for the weekend. As always all thoughts and words are my own. Thank you so much! Q was main photographer for the day. So glad you like the new look, I’m loving it too!